Summary: A new study reveals using estradiol gel in combination with oral progesterone can help to improve cognitive function in postmenopausal women. Hormones affect just about everything that goes on in a woman’s body, from reproductive function and sexual libido to weight gain and overall mood. 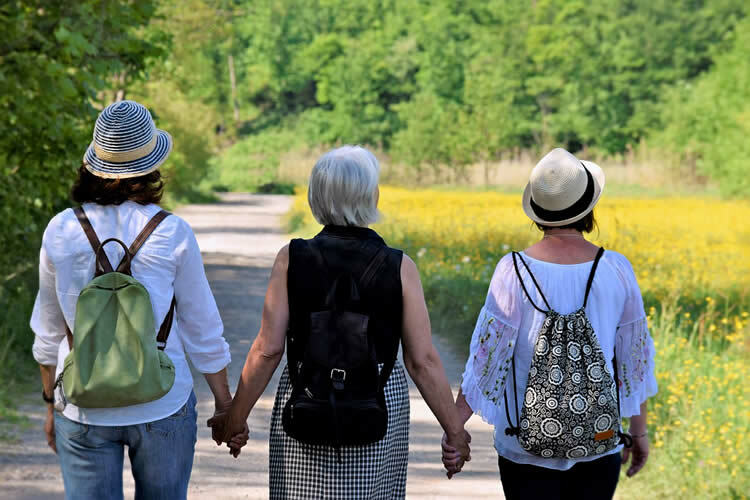 A new study shows how, in the right dosage and combination, hormones also may slow cognitive decline in postmenopausal women as they age. The study is being published online today in Menopause. It comes as no surprise that cognitive function declines as we age. We recognize memory decline in a number of ways, such as not being able to remember a grocery list as easily as we once did. Mild cognitive impairment (MCI) is defined as that intermediate stage between normal aging and dementia. Persons with MCI have an increased risk of progressing to Alzheimer disease or other dementia, with roughly 20% of this population crossing over from MCI to a more severe level each year. To date, no pharmacologic treatment has proven effective in managing MCI. The study followed postmenopausal women who were diagnosed with MCI and taking donepezil over a 24-month period and showed that cognitive test scores for the women who received hormone therapy significantly increased during that time. NeuroscienceNews.com image is in the public domain. The article “Menopausal hormone therapy and mild cognitive impairment: a randomized, placebo-controlled trial” reviews the results from a recent Korean study regarding the effect of hormone therapy on cognitive function. The study followed postmenopausal women who were diagnosed with MCI and taking donepezil over a 24-month period and showed that cognitive test scores for the women who received hormone therapy significantly increased during that time. Although the study group was small, the study offers promising results, demonstrating that the combination of transdermal estradiol and an oral progesterone can slow down cognitive decline. This is the first known study to evaluate the effect of hormone therapy on MCI. Original Research: Abstract for “Concern about US Preventive Services Task Force recommendation on hormone therapy for the primary prevention of chronic conditions in postmenopausal women” by Pinkerton, JoAnn V.; Kaunitz, Andrew M.; and Manson, JoAnn E. in Menopause. Published May 29 2018. NAMS “Hormone Therapy May Lead to Improved Cognitive Function.” NeuroscienceNews. NeuroscienceNews, 30 May 2018. NAMS “Hormone Therapy May Lead to Improved Cognitive Function.” http://neurosciencenews.com/oral-progesterone-cognition-9178/ (accessed May 30, 2018).